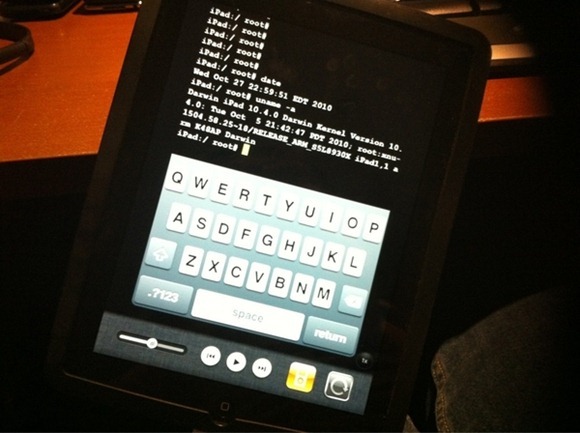 The iPhone hacker and developer behind Sn0wbreeze, iH8snow, has managed to jailbreak iOS 4.2 for iPad. It was done via Geohot’s untethered bootrom level Limera1n exploit. Below you can see full root access using MobileTerminal on iOS 4.2 Beta 3 for iPad. In the meantime, use these links to download Pwnage tool 4.1.2 for Mac. Follow this author on Twitter. YouTube TV App Is Now Available On The Apple TV – Download Now!